Comment: Need gutters on two sides of house to prevent water from flooding side yard and entry way to front door. Comment: I would like to get an estimate for rain gutters intalled in home. Comment: Self explanatory, install seemless gutters. Comment: Pretty self explanatory. Would like estimate for seamless gutters on home. Home is 1600 square feet. Probably need on both sides of house. Not sure about back of home. Comment: Single story home in Ashely Heights addition of Gilbert, AZ. Estimate about 250 feet of gutter with down spouts to move water from back and sides of home to street. Gilbert Gutter Cleaning & Repair Services are rated 4.48 out of 5 based on 84 reviews of 3 pros. 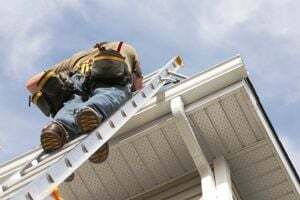 Not Looking for Gutters Contractors in Gilbert, AZ?